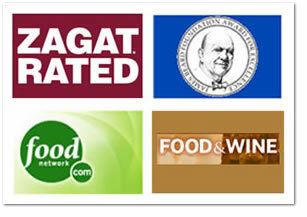 We Create Innovative Licensing Partnerships to Operate your Restaurant. 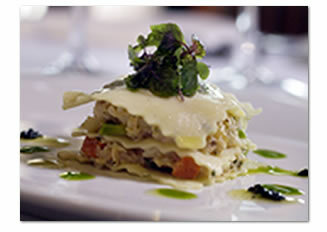 Restaurant owners, hotels, and resorts benefit from the "Independent Restaurateur's" approach to operating a restaurant. A successful operation depends on the neighborhod guest and thrives on capturing the attention of out of town visitors as well as the local, national, and international media and press. Selection of key staff members by the CZH Advisory Team: Chef de Cuisine, Restaurant Manager, Sommelier, Pastry Chef. Validation of other staff profiles. Coordinated with the Operator for each employee to meet quality standards and procedures. Employee code of conduct and targeted training are cumpulsory and developed by CZH in conjunction with the Operator. Kitchen space planning, equipment layouts and specifications are recommended to our Licensing Partners. 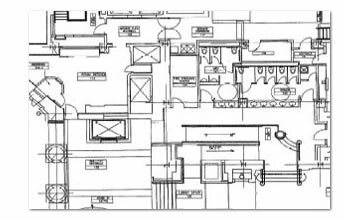 A kitchen/food service facilites designer in conjunction with CZH will provide all layouts, specifications, and MEP information. The transparency of an open kitchen is desirable and will be incorporated into the plan whenever possible. Dining Room floorplans FF&E specifications and overall ambiance. 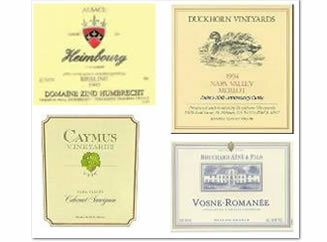 CZH, wherever possible, will create exposed wine cellars in order to promote sales. 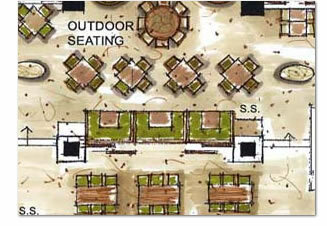 All front of the house layouts, including dining rooms, bars, and lounges, are prepared following extensive communication between CZH and all Stakeholders. Creation of all graphics, logos, and visual identity materials will be directed by the CZH Advisory Team. A full array of standardized graphic materials will be produced, including: menus and beverage lists, business cards, letterhead, brochures, public relations materials, and an online presence. Table top: China, flatware, glassware, and accessories will be selected, sourced, and presented for Stakeholder approval. A detailed listing of all OS&E will be prepared, sourced, and presented for Stakeholder approval. Menus for all applicable Meal Periods are created by the CZH Advisory Team. All menus will be updated on a regular basis. Local ingredients are used to create regionally influenced dishes that are periodically added to the menu in order to enhance the restaurant's sense of place. All beverage menus, including wine lists, wine by the glass programs, and selections of hand crafted cocktails, are created by CZH based on local market opportunities and sources of supply. All menu designs and presentations will be integrated to reinforce brand identity. 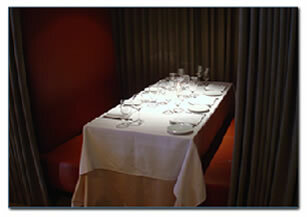 The CZH Advisory Team continually monitors the standards and quality of all aspects of the restaurant. A representative of CZH will make periodic site visits to the restaurant, as required, in order to ensure guest satisfaction, pursuit of excellence, and profitability. Interaction between the Local Guidance Team, Corporate Management and Ownership occurs regularly to enhance operational execution and validate the concept. The CZH Advisory Team will coordinate all Media oriented materials that are utilized. PR responsibility is shared between the Operators, Local Guidance Team, PR team, and the CZH Hospitality Group. Local PR team generates continual press book updates and suggests relevant events and media coverage needed to enhance the brand.